Munro Solar can provide any commercial facility or residential home a cost effective energy solution which will dramatically reduce operating expenses. 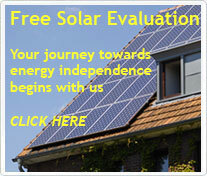 We will review your solar options based on your available roof or ground space, federal/state rebates, your current electric usage and your financial options. If your location is suited, we will schedule a no-cost evaluation. You have nothing to lose except your dependence on foreign oil!